It’s National Pet ID Month and throughout December National Pet Register is calling on you to check or update your pet’s identification. But, why is it so important to identify your pet? Each year many pet owners move house or changed phone numbers. While many will remember to update their contact details with service providers, too many will forget to update their pet’s microchip and identification tag information. Every year shelters around the country are inundated with dogs and cats with incorrect contact information or no identification at all. This makes it impossible for shelter staff to reunite pets with their owners. Remembering to update your contact details after moving house or changing phone numbers is a simple and effective way to ensure your pet has a return ticket home should they ever get lost. There are two main methods of pet identification, microchipping and collar ID. National Pet Register recommends pet owners have a microchip, council registration tag and a personalised ID tag to identify your pet. A collar and identification tag is the simplest and most economical way to display your pet’s name and contact details. Some pet owners believe collar ID tags are not needed if their pet is already microchipped. This is not the case. If a lost pet is wearing collar identification and is found by a member of the public, they can be reunited with its owner without going to a pound or vet clinic to be scanned for a microchip. A microchip is the best method of permanent animal identification available. Approximately the size of a grain of rice, a microchip is implanted just under your pet’s skin, in the soft scruff of the neck. Each chip has a unique number which is detected using a microchip scanner. The microchip number is recorded on a database registry, such as National Pet Register, with details about the animal and owner. Should your pet become lost, vets, animal shelters and local councils can scan your pet for a microchip and contact you via the database. Look out for ChipChecker events in your area this weekend. 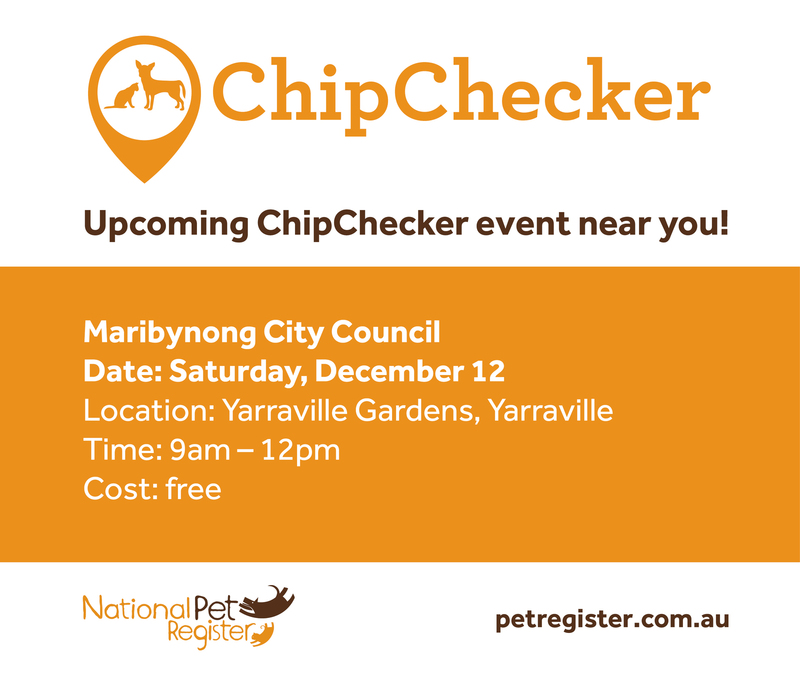 The ChipChecker team will tell you the details on your pet’s microchip, what database they are registered to and whether their microchip is working. You can also use ChipChecker to update your details and use the opportunity to ask National Pet Register staff any questions about pet identification. Don’t forget to bring along your pet or their identification information. 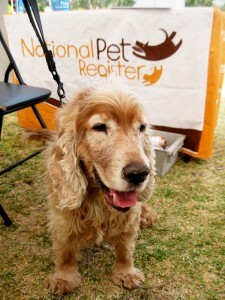 If you bring your pet along to the event, please remember to keep all dogs on a lead and all cats in a secure carrier.